This entry was posted on May 3, 2012 by seekraz. 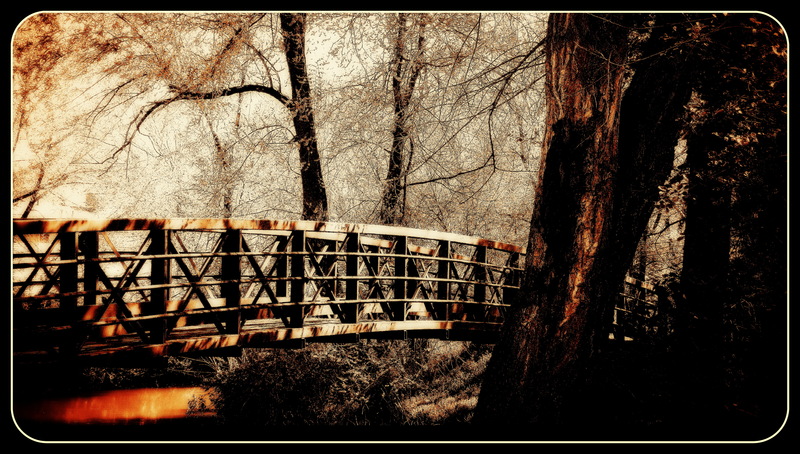 It was filed under Bridges, Jordan River, Photos - Outdoors and was tagged with art, creativity, imagination, Jordan River Walkway, photography, photography post-processing, Picasa, Rose Park Utah, Salt Lake City Utah. Scott… nice bridge, and I really like your processing in the second. It reminds me of Instagram, something I am becoming more and more fascinated by. Thanks. I don’t have access to the right type of phone to use Instagram either, but I do like some of the effects it can generate. I do like how technology is opening up more and more ways for people to be creative and expressive. You’re welcome, David…and yes, technology is certainly becoming more user-friendly…bringing with it beautiful results. Like the two shots…one has a feeling of vibrancy and freshness, the other of something ominous lurking around the corner…ahhdore color and how it hits my mood, kudos Scott! Cool second shot. 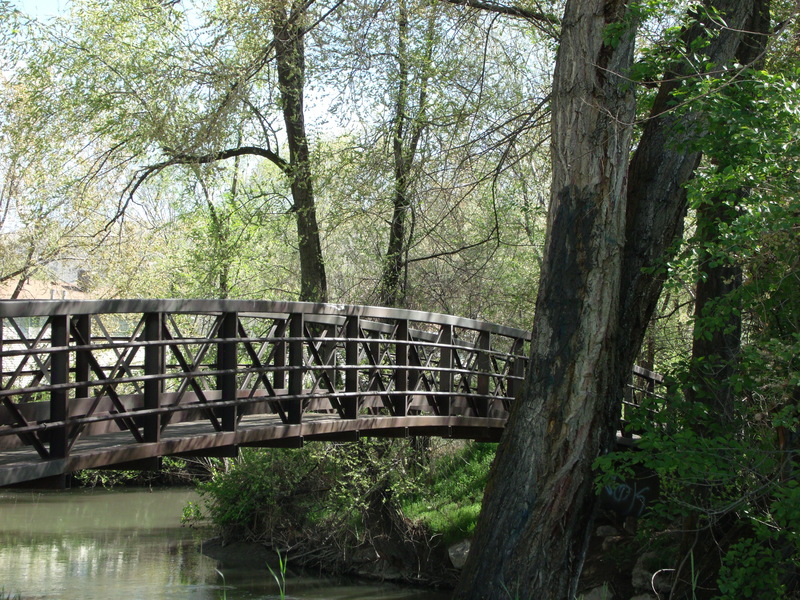 But I also like the soft greens in the first one – cant help thinking ‘Monet’ when I see a bridge this shape. Can’t put my finger on it, but whatever you did to the second version really enhances it. Lovely. I also love the second much more mysterious! Yes, the second one came out very nice. Thank you, Ginny…I like the darkness of it. I really love the processing here. The warm coppery tones are beautiful. Lovely shadows, reflections and textures in the first photo. I like the “sepia tone” effect in the second – quite a gentle, timeless effect. That’s really fun, Scott! Love the mood and magic you’ve given it through your further developing. I was going to say the same thing as David, it looks really good. Great bridge. I’ve been playing around more too, haven’t got results like that, but hopefully in time. I like the sepia version because it reminds me of growing up on the Ashuelot River here in New Hampshire. It was a great place to be a kid. Nice images Scott. I’ve always liked bridges, they symbolise connectivity and cooperation. Hi Scott. Glad you included both photos in this post! Thanks! I like the second one. It looks vintage.